Home | A Miracle Every Day | Miracles | Persevere! Difficult, isn’t it, to glory in tribulations, to proudly boast in them! When we fail an important test, one of our children decides to break off all contact with us, illness invades our lives, we’d really want to answer Paul and say that, right at that moment, we’re far from feeling proud! In fact, when you choose to persevere in the middle of tribulation (in prayer, your love, forgiveness, your calling, your faith), it’s your Father and all His angels who are proud of you! 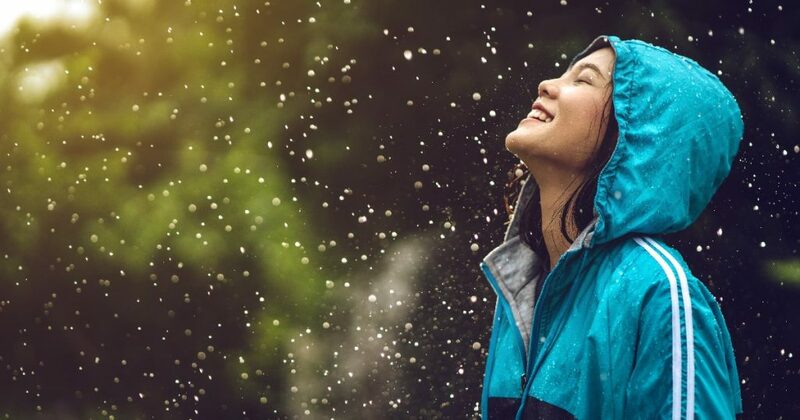 When, after you’ve experienced many trials and battles won, and you have this unshakable hope that your God is fighting for you, you also have a cloud of witnesses in heavenly places that rejoices for you, with you, and about you! Your perseverance is the testimony of your faith, and however small it is, it has the power to give courage to keep going to those around you. 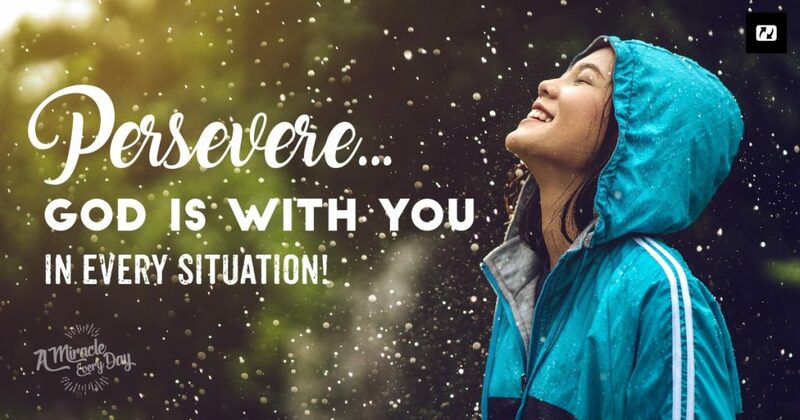 Remember that God is with you in every situation, everything you’re going through…persevere! I really needed this today. I recently ruined my witness of Christ in me with my daughter and her family–I let the negativity in their home get to me and to the flesh that I’m still trying to crucify. Thankfully, I know that God forgives me–I’ve confessed my sin to Him. But my daughter isn’t so willing to forgive and move forward. I hate that I failed and damaged the good that God was doing between my daughter and me and I’m trying not to let the devil get me down. I know that God can and will work good out of this–I just pray that God will give me the peace I need until He works healing and restoration into this situation. Please pray for me and for my daughter and her husband and 3 kids–they especially need prayers for deliverance from depression, anger, rebellion, alcoholism. Thanks to all who agree to stand with me in prayer for this. Thanks for this message, I got strength from it to keep on going on. It came at just the time when I needed it. Many blessings to you in Lord Jesus, Eric.